Although many actors have become typecast or mainstays in the horror genre (that’s certainly not a bad thing because it can keep you employed for life), there aren’t as many who can say that they’ve inhabited more than one iconic role. Fortunately for Kane Hodder, the former Jason Voorhees has kept lovers of the macabre entertained in recent years as Victor Crowley in the Hatchet series of films. Granted, the latter is less mainstream than the former, but our point remains valid. In addition to having those two notches on his belt, Hodder can also lay claim to having played Leatherface for a few scenes, having been R.A. Mihailoff’s stunt double on Leatherface: Texas Chainsaw Massacre III – which earned him the most bizarre of cameos in Freddy vs. Jason, mind you- in addition to Freddy Krueger for a brief moment. If you weren’t aware, he was actually the one to have worn the iconic glove in the closing moments of Jason Goes to Hell: The Final Friday. Now that this is all out in the open, let’s hope that the right people hear it and allow Hodder to appear as Myers in a future Halloween flick. Really, there’s no reason not to at this point, and you have to admit that the diehard Friday the 13th fans will assure some extra ticket sales knowing that he’d be involved. 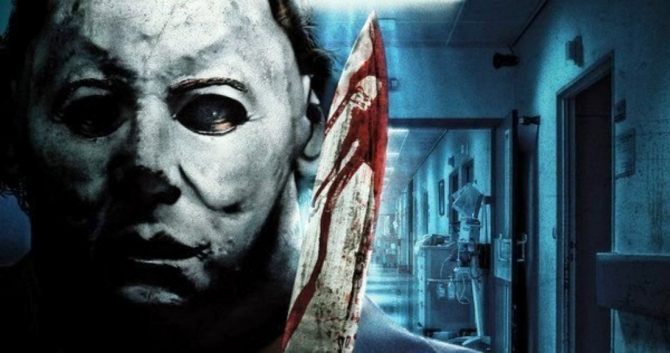 Granted, the future of the Halloween series is largely contingent on the success of Blumhouse Productions’ upcoming revival that’s due in theaters on October 19, but we’re guessing that the brand has enough staying power to assure there’s more to come. And with someone like Hodder to potentially give its boogeyman much physical presence, I, for one, wouldn’t mind booking a return trip to Haddonfield.